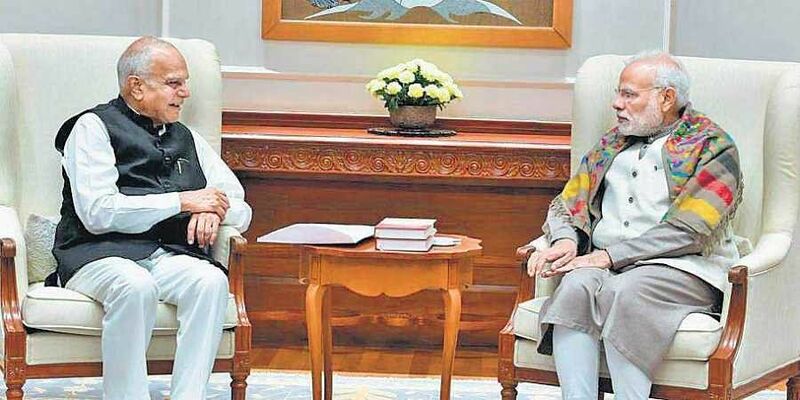 CHENNAI : Governor Banwarilal Purohit on Friday called on Prime Minister Narendra Modi at his residence in New Delhi and discussed important issues of the State. The meeting lasted for 45 minutes. Later, he called on Union Home Minister Rajnath Singh and held discussions with him. The meetings assumes significance. He is believed to have briefed both leaders about the recent political and other developments. After cyclone Gaja hit the delta districts, the Governor had visited those areas and assured the people that he would do his best to help with the restoration. Furthermore, the meeting took place a day after the State Assembly adopted a resolution on the Mekedatu issue, condemning the Centre and Karnataka.